In the case of Kuehner v. Abdulqader, No. 2018-CV-4215 (C.P. Lacka. Co. Feb. 15, 2019 Nealon, J. ), the court addressed Preliminary Objections filed by a trucking Defendant seeking the dismissal of allegations of “gross, wanton, and reckless conduct” along with the accompanying claims for punitive damages as set forth in the Plaintiff’s Complaint. After reviewing the standard of review for a demurrer, the court ruled that the Defendant’s Preliminary Objections were overruled. The court noted that the Plaintiff asserted that she was operating a vehicle and making a left hand turn when the Defendant tractor trailer driver drove his vehicle into the Plaintiff’s lane of travel and caused the injury and allegedly serious personal injuries to the Plaintiff. 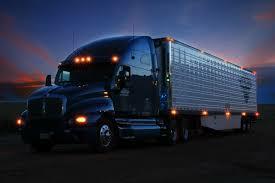 Among the more specific allegations asserted by the Plaintiff in support of claims of gross, wanton, and reckless conduct included allegations that the tractor trailer driver was operating his vehicle when he was so fatigued so as to make it unsafe for him to operate his vehicle in violation of federal code provisions, operating his vehicle in excess of the applicable hours of service allowed under the federal code, and operating his vehicle in conscious disregard of his fatigued condition. The Plaintiff also alleged that the tractor trailer driver was reckless by failing to document his travel in daily logs as required by law, including the Federal Motor Carrier Safety Regulations, and failure to observe proper rest and driving intervals as required by the same law. Reviewing the Complaint as a whole and in the light most favorable to the Plaintiff, the court overruled the Preliminary Objection asserted in the nature of a demurrer. The court noted that the defense retained the right to revisit the issue after the conclusion of discovery by way of a Motion for Summary Judgment. I send thanks to Attorney Kevin Conaboy for bringing this decision to my attention. In the case of Santiago v. Yates, No. 2018-CV-4504 (C.P. Lacka. Co. Feb. 14, 2019 Nealon, J. ), the court reviewed various Preliminary Objections filed by a Defendant in a motor vehicle accident case. In particular, the Defendant filed Preliminary Objections against the Plaintiff’s allegations of the Defendant’s alleged reckless operation of his vehicle while under the influence of alcohol and a controlled substance along with the Plaintiff’s request for punitive damages. 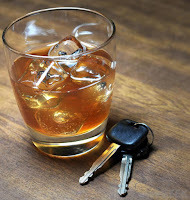 The Plaintiff additionally alleged that she was not bound by her Limited Tort selection and instead was entitled to Full Tort coverage under an exception to the rule pertaining to a conviction of the defendant driver for driving under the influence of alcohol and/or a controlled substance. The Defendant demurred to the claim for punitive damages on the grounds of legal insufficiency. The Defendant also requested a dismissal of the Plaintiff’s allegations of recklessness due to an alleged lack of factual support for those allegations. In denying these Preliminary Objections, Judge Nealon noted that the Pennsylvania appellate and trial courts have “uniformly recognized the viability of a punitive damages claim against a motorist who causes an accident and personal injury while driving under the influence of alcohol or a controlled substance. Reviewing and accepting the Plaintiff’s allegations as true in this matter as required by the standard of review, the court denied the Defendant’s various Preliminary Objections. 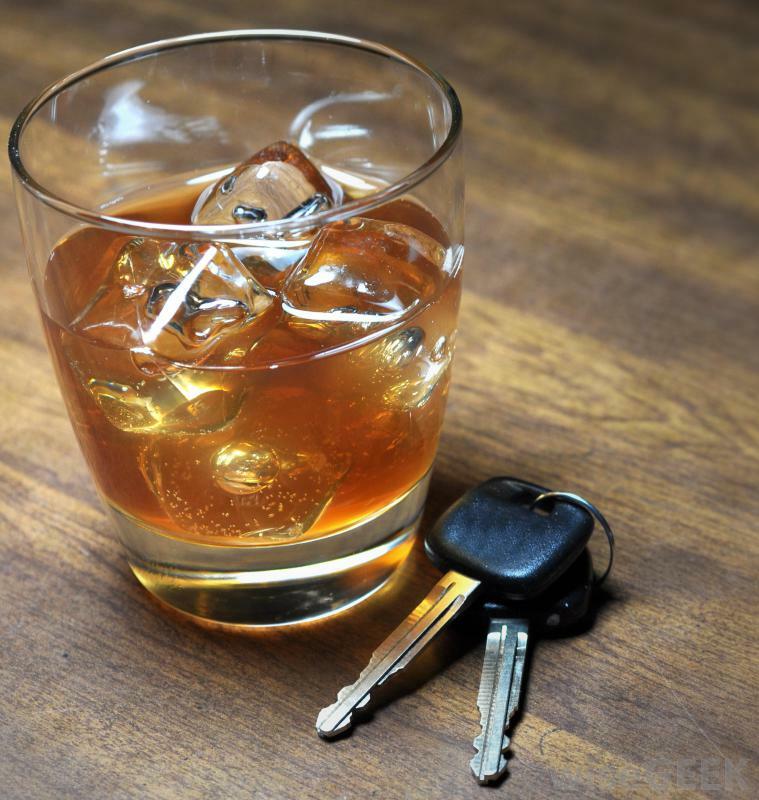 The court also noted that the allegations of driving under the influence assumed a greater significance in this case given that the Defendant’s conviction in the criminal courts transformed the Plaintiff’s Limited Tort status to Full Tort status under the applicable law. As such, the court additionally rejected the claim that the allegations at issue amounted to scandalous and impertinent allegations. To the contrary, the court found that the allegations pertaining to the Defendant’s driving under the influence were sufficient to support the Plaintiff’s claims for punitive damages based upon the Defendant’s alleged reckless conduct. As stated, the Defendant’s Preliminary Objections were overruled in their entirety. In the case of Buck v. Geico, No. 18-5148 (E.D. Pa. Jan. 23, 2019 DuBois, J. ), the court granted the carrier’s 12(b)(6) Motion to Dismiss the Plaintiff’s Bad Faith Claim but granted the Plaintiff leave to file an Amended Complaint. This case arose out of a motor vehicle accident and a UIM claim. In this case, the carrier disagreed with the Plaintiff’s contention as to the liability issues. The carrier initially concluded that the collision was 100% the insured’s fault, but thereafter, after receiving some surveillance information, altered the liability assessment to agree that the Plaintiff was comparatively negligent but not in the majority. The carrier contended the Plaintiff’s Complaint should be dismissed for failure to state a claim upon which relief may be granted because the Plaintiff did not allege a denial of benefits under an insurance policy as required by the bad faith statute found at 42 Pa. C.S.A. §8371. In response, the Plaintiff presented two (2) arguments. First, the Plaintiff asserted that he did not need to allege a denial of benefits to state a cause of action for insurance bad faith under §8371. More specifically, in addition to asserting that §8371 does not require a denial of benefits in order for a Plaintiff to state a cause of action for bad faith, the Plaintiff also contended that the carrier’s investigative practices and faulty conclusions based upon egregious investigative inaction supported a cause of action under §8371 in any event. As a second basis, the Plaintiff asserted that he was indeed denied benefits of purchasing an insurance policy. More specifically, the Plaintiff asserted that, after the subject accident, the carrier significantly increased the insurance premiums on the Plaintiff’s vehicles and that, as a result, the Plaintiff was forced to seek alternative insurance from another company in an attempt to offset the increase premium. The court rejected both of the arguments set forth by the Plaintiff. The court rejected the first argument of the Plaintiff noted above. The court stated that “the essence of a bad faith claim must be the unreasonable and intentional (or reckless) denial of benefits.” See Op. at 4. The court reiterated that Pennsylvania law makes clear that a claimed denial is essential to a bad faith claim. Accordingly, the court concluded that the Plaintiff must allege a denial of benefits in order to proceed on the claim under §8371. In terms of the other types of alleged “benefits” that the Plaintiff asserted that he Defendant allegedly denied the Plaintiff, the court noted that none of those other concerns involved a refusal to pay proceeds under an insurance policy, which is also required to support a claim for bad faith. As such, the court dismissed the Plaintiff’s Complaint for failure to state a valid claim of bad faith. As noted, however, the Plaintiff was granted the right to amend. I send thanks to Attorney Lee Applebaum of Fineman, Krekstein & Harris in Philadelphia for bringing this case to my attention. Be sure to check out Attorney Applebaum's excellent Pennsylvnaia and New Jersey Insurance Bad Faith Case Law Blog. In the case of Feingold v. Brooks, No. 19-CV-0291, 2019 WL 415575 (E.D. Pa. Feb. 1, 2019 Tucker, J. ), the court addressed the issue of the statute of limitations period in a bad faith claim. The court noted that the statute of limitations for a bad faith claim is two (2) years and that such a claim accrues with the initial coverage denial. Significantly, the court noted that repeated denials of the same claim are merely continuations of an already existing harm, and do not constitute new actionable events triggering a new statute of limitations period. The court noted that, only if the subsequent alleged act of bad faith is a separate, distinct, and unrelated incident as compared to the original bad faith denial can a new statute of limitations period begin to run. In this Feingold case, the alleged bad faith conduct occurred back in 2011. The lawsuit in this matter was filed in 2019. In response to the Defendant’s Motion to Dismiss, this court did not accept the bald allegations by the Plaintiff that events had taken place and continued over a period of years up to the present day as a way around the statute of limitations. The court otherwise noted that there were no facts alleged suggesting a basis for the claims falling within the limitations period. As such, the Complaint was dismissed without leave to amend. Anyone wishing to review a copy of this case may click this LINK.. I send thanks to Attorney Lee Applebaum of the Philadelphia law firm of Fineman, Krekstein, & Harris, and also the writer of the excellent Pennsylvania and New Jersey Insurance Bad Faith Case Law blog, for bringing this case to my attention. Some have suggested the Pennsylvania Supreme Court case of Erie Ins. Exch. v. Bristol, 174 A.3d 578 (Pa. 2017), in which it was held that the statute of limitations in an uninsured (UM) motorist case does not begin to run until there is an alleged breach of the insurance contract, i.e., the denial of a claim or a refusal to arbitrate, supports an argument that the UM/UIM statute of limitations is extended every time a UM or UIM settlement demand is rejected or denied. Click HERE to view the Tort Talk post on the case and to secure a Link to that decision. The law of this Feingold decision may come in handy to counter arguments that the statute of limitations in a UM or UIM claim can be continually extended by repeated denials by the carrier to meet the Plaintiff's settlement demands. The Feingold case arguably supports the argument that the subsequent denials of payment could be viewed as extensions of the original denial of the UM or UIM claim. 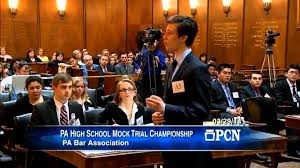 The winter weather has wreaked havoc on the Lackawanna County Mock Trial Competition schedule this year. 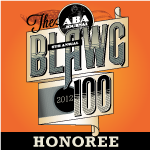 Your help is needed to fill the Jury Boxes. 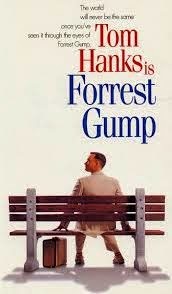 Daniel E. Cummins of the Scranton, PA law firm of Foley, Comerford & Cummins, along with Attorney Paul Oven of the Moosic, PA law firm of Dougherty, Leventhal & Price, will be providing encore presentations of a CLE seminar entitled "The Law is Like a Box of Chocolates: A Forrest Gump Themed Civil Litigation Update" for the Lackawanna Bar Association next week. The Lackawanna Bar Association CLE will take place as a Lunch and Learn on Thursday, February 28, 2019 beginning at 12 noon at the Bar Association offices at 233 Penn Ave., Scranton, PA 18503. The below article of mine was recently published in the Pennsylvania Law Weekly and is republished here with permission. This article was also previously ﻿published in Counterpoint, the newsletter of the Pennsylvania Defense Institute. Over the past year, the Pennsylvania state trial and appellate courts have continued to grapple with issues pertaining to social media discovery as well as the admissibility of social media evidence at trial. In Kelter v. Flanagan, No. 286-Civil-2017 (C.P. Monroe Co. Feb. 19, 2018 Williamson, J. 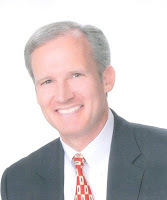 ), Monroe County Judge David J. Williamson followed the developing common law that permits a party access to another party’s private social media pages only when it has been first established that information relevant to the litigation can be seen on the public pages of that profile. In Kelter, Williamson granted a defendant’s motion to compel a plaintiff to provide the defendant’s counsel with her Instagram account log-in information in order to allow for further discovery of the information on that profile. This case arose out of a motor vehicle accident. According to the opinion, the plaintiff initially testified at her deposition that she did not maintain any social media accounts. When confronted with proof to the contrary, the plaintiff then admitted that she maintained an Instagram account and asserted that she had allegedly misunderstood the question presented. Defense counsel then reviewed posts from the plaintiff’s Instagram account from the time period shortly after the accident that were available for public access on the plaintiff’s Instagram account. According to the opinion, those posts seem to indicate that, despite the plaintiff’s claims of limitations following the accident, the plaintiff had engaged in vigorous physical activity both before and after the accident, such as references to shoveling snow and going to the gym. When the plaintiff declined to provide any additional Instagram account information, the defense filed this motion to compel, which, as noted, was granted by the court. The court ruled in this fashion given that the defense had made the required threshold showing that the public pages on the plaintiff’s profile suggested that more information may be found on the private pages of the same profile. In granting the defense limited access to the private pages of the site for discovery purposes the court ordered that the defense not share that information with anyone not related to the case. The court’s order further mandated that the plaintiff would not remove or delete any content from that account. Confirming that there is a split of authority on this issue among the trial courts of Pennsylvania, a contrary result was handed down in the recent Northampton County Court of Common Pleas ruling in Allen v. Sands Bethworks Gaming, No. C-0048-CV-2017-2279 (C.P. North. Co. Aug. 6, 2018 Dally, J.). The Allen case arose out of a plaintiff’s alleged slip-and-fall in a bathroom at the Sands Casino in Bethlehem, Pennsylvania. 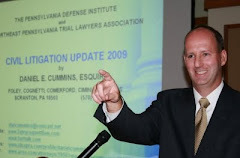 In his detailed opinion, Judge Craig Dally of Northampton County provided an excellent overview of the general rules of discovery pertinent to this issue as well as a review of the previous social media discovery decisions that have been handed down around the commonwealth by various county Courts of Common Pleas as well as by courts from other jurisdictions. No Pennsylvania appellate court decision was referenced by the Allen court as there are apparently still no such decisions to date on this emerging issue. In his opinion, Dally noted that the defense had pointed out discrepancies between the plaintiff’s deposition testimony regarding her alleged limitations from her alleged accident-related injuries and the photos available for review on the public pages of the plaintiff’s Facebook profile depicting the plaintiff engaging in certain activities. In a footnote, the court emphasized that such a factual predicate must be established with respect to each separate social media site the defendant wishes to access further. The court additionally noted that, in any event, “it would be disinclined to follow the line of Common Pleas cases that have granted parties carte blanche access to another party’s social media account by requiring the responding party to turn over their username and password, as requested by the defendant in this case.” The court found that this type of access would be overly intrusive, would cause unreasonable embarrassment and burden, and represented a request for discovery that was not properly tailored with reasonable particularity as required by the Rules of Civil Procedure pertaining to discovery efforts. In light of the above reasoning, the defendant’s motion to compel was denied. As such, it appears that Dally was generally opposed to the notion that discovery should be allowed into the private areas of parties’ social media sites and, as such, he tailored his opinion to secure this desired result. The above recent trial court cases on the discoverability of social media information continues to confirm that, in the absence of appellate guidance on the issue, there will be uncertainty as to whether a particular Court of Common Pleas in a given county will allow for further access of a social media site in response to a motion to compel. Over the past year a notable appellate social media evidentiary decision on the separate topic of admissibility of such information at trial was also handed down in a criminal court setting. In the case of Commonwealth v. Mangel, 181 A.3d 1154 (Pa. Super. 2018), the Pennsylvania Superior Court ruled that social media posts are inadmissible in criminal cases unless prosecutors can present evidence of who actually authored the commentary. It is expected that this ruling in the criminal court context will be the same when it eventually arises in a civil litigation matter. The court in Mangel affirmed an Erie County trial court decision denying a prosecutor’s motion in limine seeking to introduce into evidence Facebook posts and messages allegedly authored by the defendant. The Mangel court ruled in this fashion after noting that social media accounts can be easily hacked or faked. Both the trial court and the appellate court in Mangel found that merely presenting evidence that the posts and messages came from a social media account bearing the defendant’s name was not enough to admit the evidence at trial. The court noted that Facebook posts and messages must instead be authenticated under Pa.R.E. 901 in a manner similar to how text messages and email messages are authenticated. The Superior Court in Mangel relied on its own 2011 decision in Commonwealth v. Koch, 39 A.3d 996, 1005 (Pa. Super. 2011), affirmed by an equally divided court, 106 A.3d 705 (Pa. 2014), which dealt with the separate but similar issue of the admissibility and authentication of cellphone text messages. The Mangel court ruled, in a case of first impression, that the same analysis should also apply to social media posts in the criminal court context. As stated, it can be expected that a similar ruling would be handed down in the context of a civil litigation matter should this issue resurface in the future. To review a comprehensive compilation of social media discovery decisions handed down to date in Pennsylvania, one can freely access the Facebook Discovery Scorecard on the Tort Talk blog at www.TortTalk.com. Copies of the decisions found on the scorecard can be downloaded by clicking on the case names. While the Facebook Discovery Scorecard is comprehensive, it is not represented to be complete. There may be other decisions out there that have not been publicized. Continuing publication and widespread dissemination of the trial court decisions on these still novel social media issues is important and beneficial to the bench and the bar as a whole. Should you happen to have or come across a social media decision, please send a copy to dancummins@comcast.net in order that the Facebook Discovery Scorecard can be continually updated as this new common law develops at the trial court level and without any appellate guidance to date. Daniel E. Cummins is a partner in the Scranton, Pennsylvania insurance defense firm of Foley, Comerford & Cummins where he focuses his practice on the defense of car and trucking accident matters, UM/UIM matters, premises liability cases and products liability litigation. He is the sole creator and writer of the Tort Talk blog (www.TortTalk.com) and also offers mediation services through Cummins Mediation Services. Contact him at dancummins@comcast.net. · Tuesday, March 5 (FINALS). or (570)969-9161 for more information or to volunteer. A number of notable civil litigation issues were reviewed by Chief District Judge Mark R. Hornak of the United States District Court for the Western District of Pennsylvania in the case of Kirkpatrick v. Geico, No. 2:17-cv-00236 (W.D. Pa. Jan. 8, 2019). According to the Opinion, this matter arose out of a motor vehicle accident after which the Plaintiff sued Geico on a UIM claim. The case proceeded to trial and the jury entered the verdict in favor of the Plaintiff. After the trial, Geico filed a Motion for Relief from a Judgment or, Alternatively, for a New Trial. In the end, the court denied that motion. The carrier raised several issues in its post-trial motion. One of the issues raised was an argument that the Plaintiffs’ substantial award for past and future earnings was not supported by the evidence. According to the Opinion the Plaintiff presented an expert in support of the claims as well as provided his own testimony regarding his work in his car restoration business, as well as the testimony of his wife who managed the finances for that business. Geico asserted that the evidence revealed that the Plaintiff admitted that he had not yet finished or sold any cars in that business by the time of the subject accident such that any award by the jury was not based upon reliable evidence and should therefore be overturned. The carrier argued that the lack of any profits in the business prior to the accident foreclosed any finding by the jury that the accident diminished the Plaintiff’s future earning capacity. The court rejected this argument by indicating that the earnings of a Plaintiff subsequent to an injury, as compared with his or her earnings at the time of the injury, are merely evidence, and not conclusive evidence, as to whether the Plaintiff’s earning capacity as been diminished by the accident. In his Opinion, Western District Federal Court Judge Hornak emphasized that damages for loss of earning capacity arise out of an impairment of that capacity, and not out of loss of earnings. The court emphasized that the determination of whether there was a loss of earning capacity requires the jury to ask whether there was a loss of earning power, and of the ability to earn money. Stated otherwise, the question is whether the economic horizons of the injured party have been shortened because of the injuries resulting from the accident. The court emphasized that the evidence presented at trial indicated that to his injuries, the Plaintiff was unable to work in the same capacity as he had prior to the accident. More specifically, the Plaintiff asserted that his ability to perform his work at the same pace that he performed prior to the accident was reduced by half due to his injuries. He additionally testified that his inability to work to the same capacity as he did prior to the accident caused him to have less money in the business which prevented him from buying additional cars to restore. Overall, the court found that the jury had sufficient evidence from which to conclude that the Plaintiff’s injuries from the accident led to a shorter economic horizon for the Plaintiff’s business. On another issue, the Defendant carrier objected to the court’s preclusion of any reference to the Plaintiff’s smoking habit on the grounds that such evidence was unfairly prejudicial. 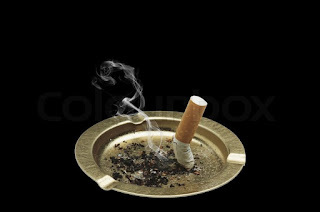 The Defendant asserted that this ruling was in error because the jury should have been able to consider the Plaintiff’s smoking habits when they contemplated the Plaintiff’s personal habits and other factors in order to determine the Plaintiff’s life expectancy. Geico argued that it is common knowledge that there is no safe level of smoking such that the jury did not need any medical testimony to properly incorporate that evidence into its deliberations. The court rejected this argument and ruled that evidence of a smoking habit unaccompanied by any competent medical evidence that such habit reduces a particular individual’s life expectancy has little probative value. See Op. at 10 [other citations omitted]. 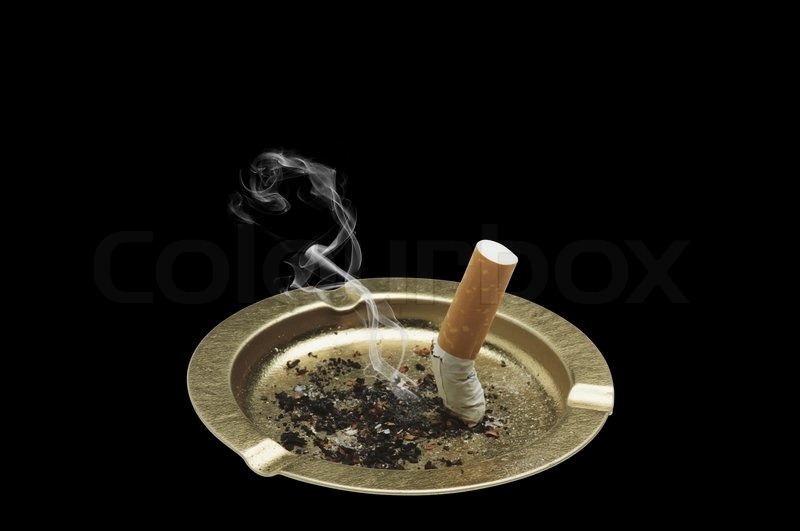 The court stated that, although it is common knowledge that smoking has adverse health consequences, “it is far from common knowledge what impacts smoking a pack of cigarettes a week for an unknown period of time would have on [this particular Plaintiff’s] life expectancy.” Id. Given that the UIM carrier Defendant had not presented any expert testimony on this issue of the Plaintiff’s smoking habit, the court found that the risk of both prejudice and confusion from such evidence substantially outweighed any probative value of the evidence found in the Plaintiff’s social history comment with regards to his smoking to his own doctor. As such, the court felt that it did not err in precluding any reference to the Plaintiff’s smoking habits. I send thanks to Attorney Scott Cooper of the Harrisburg, Pennsylvania office of Schmidt Kramer for bringing this case to my attention. In the case of Padilla v. Moravian Development Corp., No. C-48-CV-2017-1007 (C.P. Northampt. Co. Jan. 23, 2019 McFadden, J. ), Judge F.P. Kimberly McFadden of the Northampton County Court of Common Pleas recently issued a detailed Order denying a Defendant’s Motion for Summary Judgment based upon the hills and ridges doctrine. The court recited the current status of the law of the hills and ridges doctrine and emphasized that the doctrine may only be applied in cases where the snow and ice complained of are a result of an entirely natural accumulation following a recent snowfall. The court noted that the hills and ridges doctrine does not apply if the ice was of artificial origin. 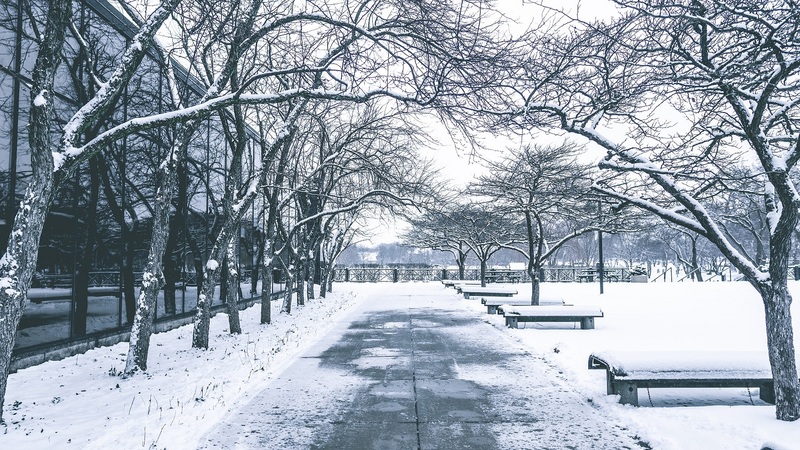 In this case, the Plaintiff alleges that she fell on ice that accumulated as a result of prior attempts to clear the sidewalk. The court found that material issues of fact remained in the case whether the Plaintiff’s fall was caused by natural accumulations of snow and ice during an ongoing weather event, or whether the Plaintiff’s fall was caused by a condition of the land created by human intervention. I send thanks to Attorney Steven A. Bergstein of the Allentown, Pennsylvania office of Engler, Wiener & Bergstein for bring this Order to my attention.